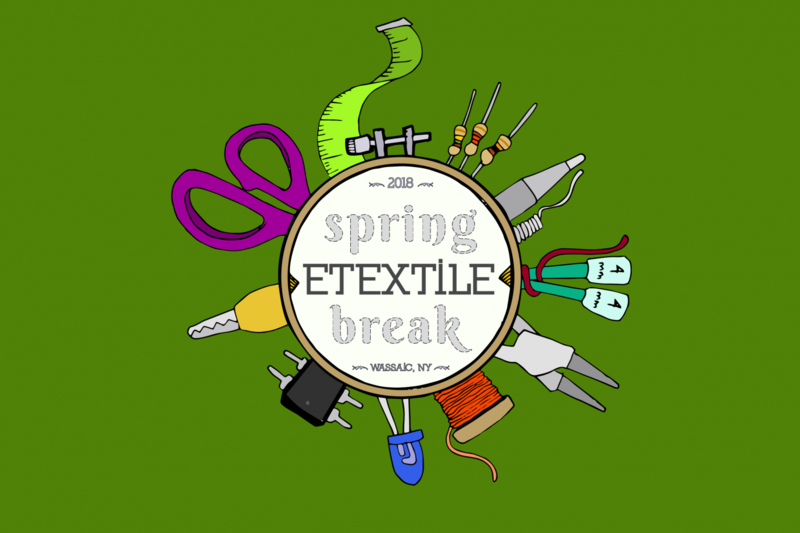 eTextile Spring Break is gearing up for 2019! Applications are now closed and we look forward to building and sharing during the week of April 7th - 14th in upstate New York at the Wassaic Project. eTextile Spring Break is a weeklong gathering of eTextile and electronic craft practitioners in upstate New York at the Wassaic Project from April 1-8, 2018. I was conceived as a sister event to eTextile Summer Camp in the French countryside. 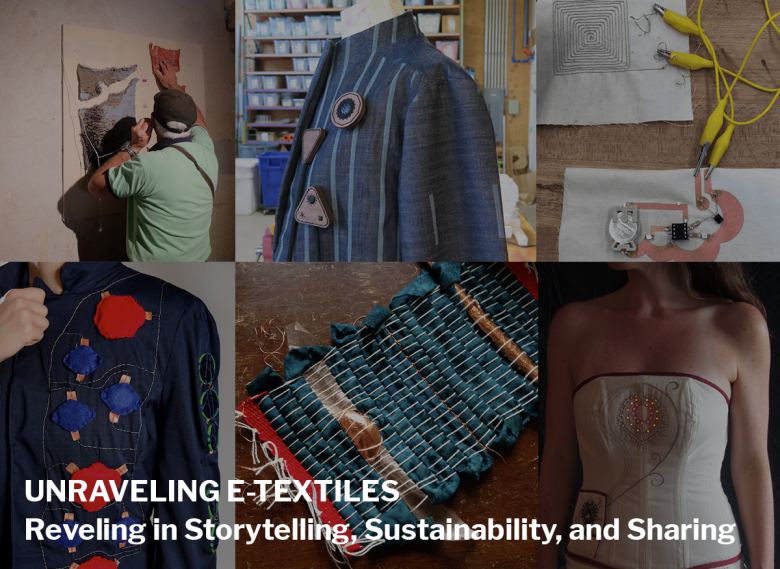 Join us at the Brooklyn Fashion + Design Accelerator for an evening of panels and discussions with eTextile and wearable technology experts from around the world. We’ll take a broad look at the field: the dreams we have for eTextiles, the complexities in crafting wearables, and the challenges we face with them as practitioners from technical and aesthetic to social and ethical. We’ll explore a range of topics related to sustainability, storytelling, assistive technology, and materials exploration. We’ll discuss knowledge sharing, our relationship to traditional artisans, and community growth. We’ll speculate what new futures an age of eTextiles might bring as we unravel the field’s past and present. The turn out was great and the discussion lively. 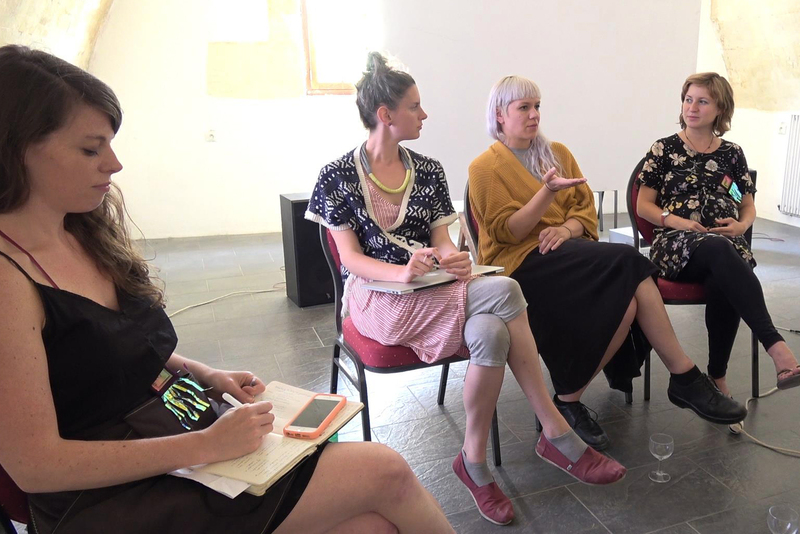 The event was split into two discussions crafted and moderated by Liza Stark. Sustainable Wearables + Heirloom Electronics is a presentation given at Gray Area Festival, 2016. In it, I explore the mass consumer's relationship with clothing (particularly in America), electronics and what we may want to start thinking about if we are so eager to merge them on an industrial level. Highlighted and keynote speakers from the festival: Gene Youngblood, Megan Prelinger, Morehshin Allahyari, Benjamin Bratton, Aaron Koblin. 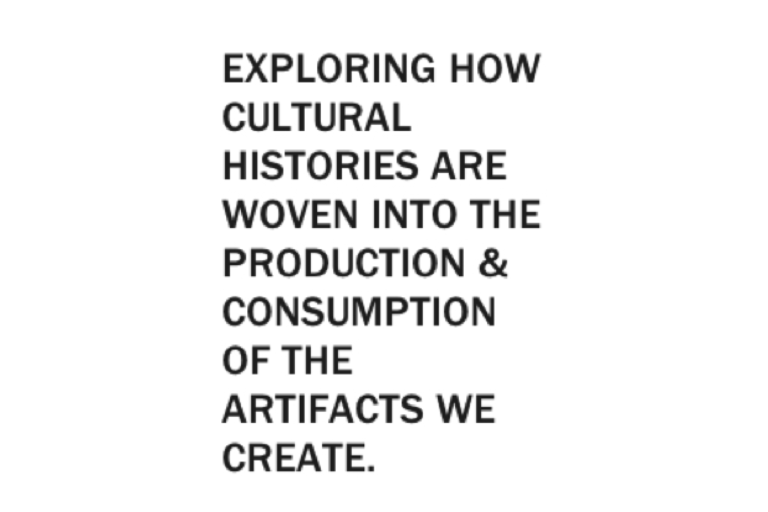 See the full program on the Gray Area Festival website and hear all archived presentations here. Alison Lewis and I teamed up for this Fashion Tech Design presentation on August 21st, 2014 at the Yelp HQ in SF as part of Designers and Geeks monthly presentations "...for people interested in design, art, and technology." It highlights the process of designing fashion tech, particularly the process of Switch Embassy developing products such as tshirtOS 2.0 and Theia. The stage was shared with fellow fashion technologists Meg Grant and Kristin Neidlinger of Sensoree. A presentation and demo given in CCA's Fashion Design Level 3 undergraduate class taught by Lynda Grose. Some topics addressed: materials, methods and what unique problems fashion design students can tackle when approaching wearables and eTextiles. Demos were running conductive thread through an industrial straight stitch machine and how to make a conductive fabric switch. This presentation was given with Lynda Grose. It introduced emergent concepts in the fashion and sustainability movement, with a specific focus on the “craft of use” movement. Participants learn which wearable technologies, products, systems, and emergent behaviors might amplify the craft of use as well as what new business models might be suggested through these explorations. *Image is a quote by Daniela Rosner, creator of the project Spyn. 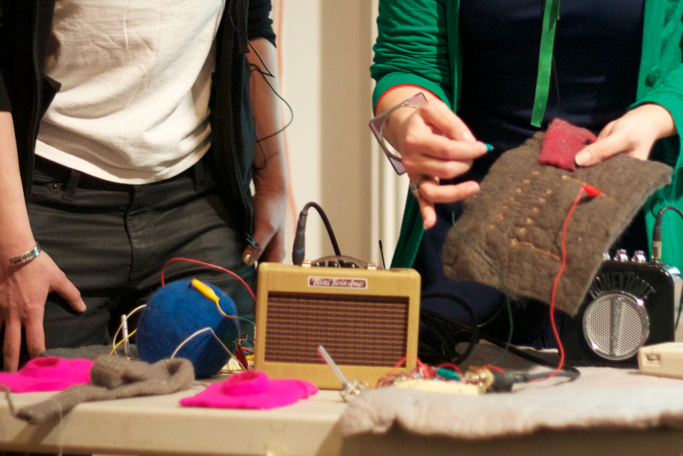 Felted Signal Processing is the electronic textiles lab for sisters Sarah and Lara, creating soft controllers, sensors and explorations in interface design, often (but not always) for sound generating hardware. It is also a synaesthetic exploration, an effort to make the action of shaping and playing with sound more tangible and germane to the sensual properties of sound itself.